Laura has worked in various clinical settings in both the United Kingdom and Singapore, where she spent three years at Jurong Health hospitals working in neuro-rehabilitation, geriatric, acute orthopaedic and musculo-skeletal departments. Laura has a very fun and lively manner which helps to motivate clients to exercise and participate in their physiotherapy. She is also a certified dry needling practitioner. 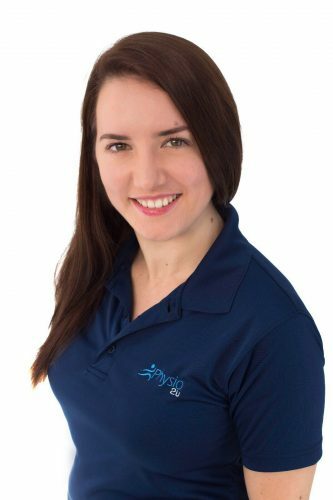 Laura is one of our experts in pre and postnatal physiotherapy to relieve low back pain, sacroiliac pain and other pains associated with pregnancy. She also is experienced in correcting a Diastasis Recti and helping restore bladder control with pelvic floor exercises. She specialises in designing and putting programmes of physiotherapy into practice: therapeutic exercise; manipulations; massage; education; the use of electro-therapeutic and other modalities, with a focus on being active. She is also an experienced ergonomics assessor, on which subject she oversees set-ups and delivers talks. In her spare time, Laura enjoys Pilates, going to the gym and exploring South East Asia.